Victory: CALPIRG Chapter reaffirmed at UCSD! 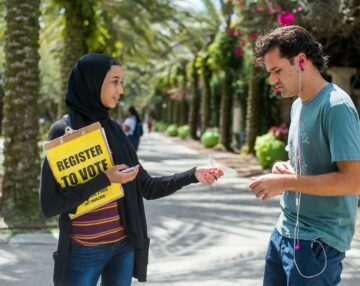 This week our UC San Diego chapter won a successful campaign to pass a campus-wide referendum to keep CALPIRG here at UCSD. The CALPIRG chapter at UCSD is funded through the voluntary pledge system, whereby students opt in to pay the CALPIRG Students voluntary fee via Student Businesses Services. This funding allows CALPIRG to hire professional staff that work full time to help students develop strategic campaigns and train students to run effective grassroots campaigns and lobby elected officials. 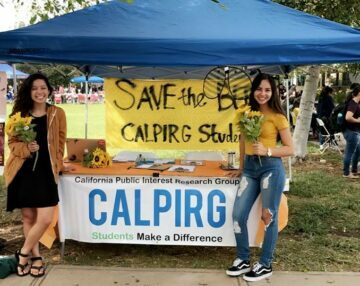 By combining student power and staff expertise, CALPIRG has helped win results for the environment and the public for over 40 years. We recently helped pass the statewide ban on plastic grocery bags to protect our oceans, secure $5 million in the federal budget for open educational resources (ie free textbooks), and convinced the town of La Jolla to stop using bee killing pesticides. The CALPIRG referendum reaffirmed the existing funding system. Last week during the AS Elections, the student body voted to pass the CALPIRG referendum and keep the CALPIRG chapter here at UCSD. We were endorsed by 85 student leaders on campus, including the Guardian newspaper. You can read the Guardian’s endorsement here. Friday’s victory means that students who have signed up to be dues paying members of CALPIRG can continue to donate and CALPIRG can continue to run our internship and volunteer program for the public interest. 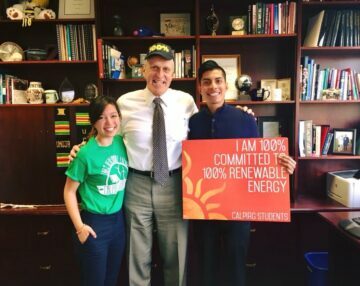 We’re very excited that the UCSD community supports student activism, student power, and social change for the environment and public interest. Now that we’ve demonstrated our broad support from the student body, we’re going to switch our focus back to our spring campaigns for more clean energy, to save bees, and to register voters. It’s time to get back to making an impact on issues that matter to students, because now more than ever, our society needs a group like CALPIRG that trains students to have an impact on pressing real world issues affecting our generation.